Junte-se a nós nesta Sexta dia 5, a partir das 23:30h em Portugal (19:30h em Brasília), para continuar a escavar o passado do Cristianismo e descobrir suas implicações espirituais em nossos tempos. Join us this Friday the September 5th, (6:30pm EST\5:30pm CST\4:30pm MST\3:30pm PST - USA), to continue to dig into the past of Christianity and discover its spiritual implications in our times. 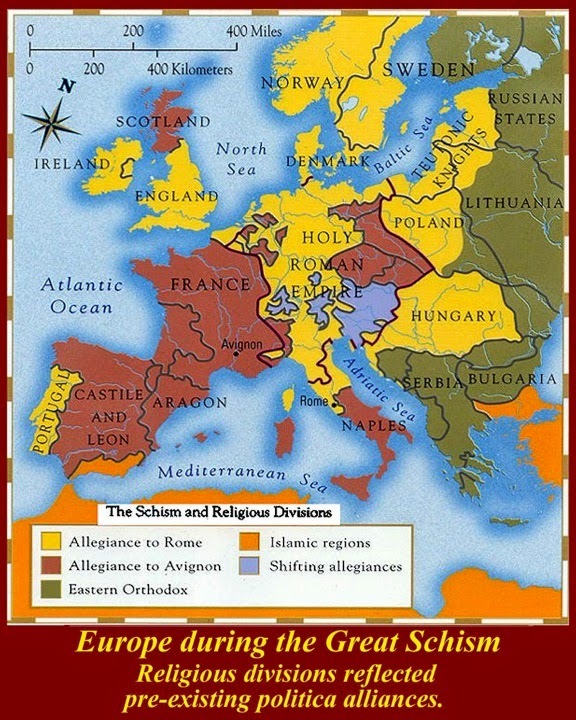 Schism is a word used to designate the division of formal and voluntary unity of the Christian Church, with which it often is labeled, unlike heresy, does not contain in itself a doctrinal deviation. 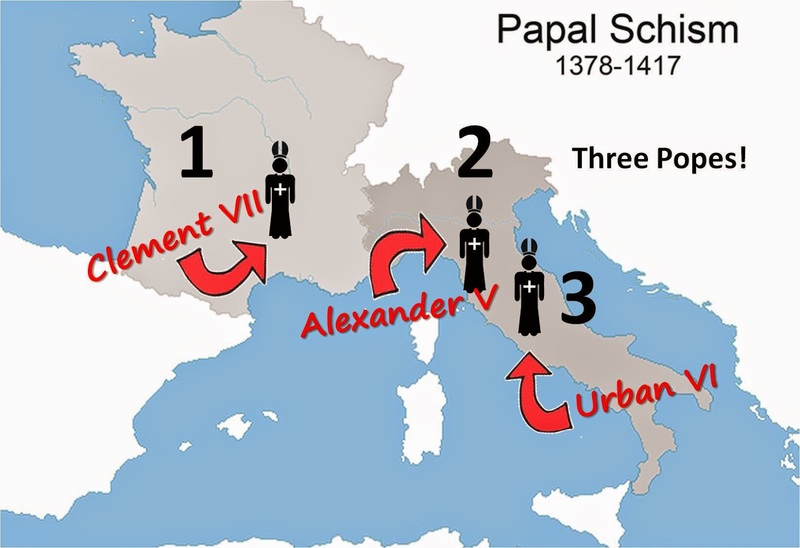 In the period between 1378 and 1417, during which two and later three popes claimed its legitimacy in the direction of the Church gives the name of the Western Schism. 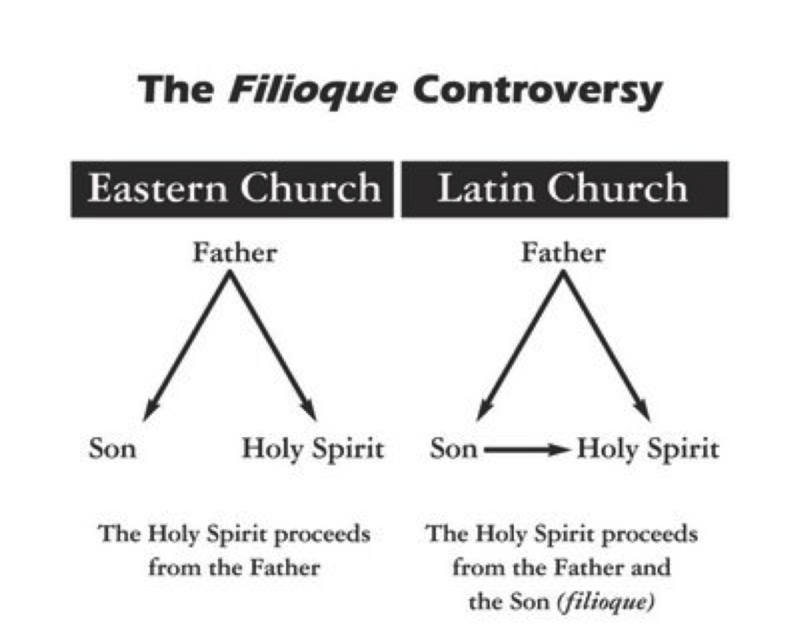 However, erroneous and abused, some authors refer to as the Great Schism this division of the Western Church in the fourteenth and fifteenth centuries. This distancing between the two Christian Churches in the Great Schism, has very deep cultural and political roots, cultivated for centuries. While Western culture has been gradually transformed by the influence of people like the Germans, the East has always remained attached to the tradition of Hellenistic Christianity. It was the call of Church tradition and Greek rite. The Church of Constantinople maintain the position of Rome as the original capital of the empire, but resented jurisdictional demands made by popes reinforced the pontificate of Leo IX (1048-1054) and then in that of their successors. In addition, there was opposition to the West in relation to the Byzantine cesaropapismo, ie, the subordination of the Church to a secular oriental head, as happened in the Church of Byzantium. When Michael Cerularius became patriarch of Constantinople, in the year 1043, began a campaign against the Latin Church in the city of Constantinople, engaging in theological discussion of the nature of the Holy Spirit, that question would assume a great importance in the centuries following. Rome Cardinal Humberto sent to Constantinople in 1054, to try to solve this problem. However, this visit is over the worst case, with the excommunication of the patriarch, an act perceived as the excommunication of the Byzantine Church and the whole of which the Synod and Michael Cerularius responded the same way to Rome. The deterioration of relations between the two Churches has largely contributed to the notorious episode of the sack of Constantinople during the Fourth Crusade (1204). 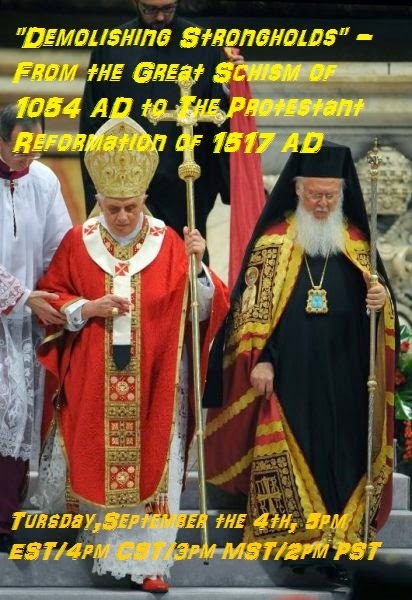 The mutual excommunications were lifted only the December 7, 1965, by Pope Paul VI and Patriarch Athenagoras I in order to bring the two churches apart for centuries. 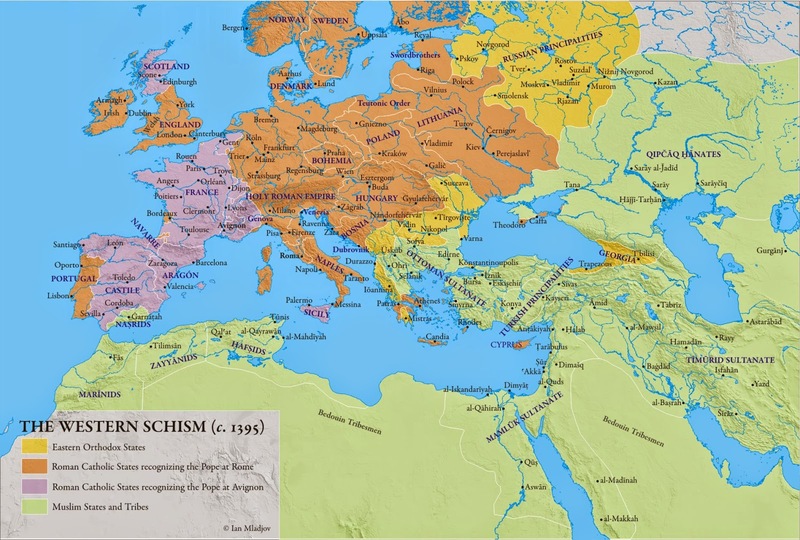 From 1054 the Byzantine Christian became schismatic the "eyes" of the Christian West, but despite two major differences (the two churches disagreed on the question of "Filioque" - the Holy Spirit to the Byzantines from the Father and not the son - and as the institutional issue caused by the refusal of the acceptance of the supremacy of the Pope of Rome) does not cease to be a Christian and as such considered. The lack of understanding for the Byzantine church turned into hatred, fostered "by covetousness and envy of 'Romans', a barbaric and uncivilized people who saw a dim richness of' Greeks' civilized ', as in Jacques says le Goff in Medieval Western Civilization. In 1203, when the western Crusaders were preparing to take Constantinople, the excuse for this action was that the Emperor Alexis I was a usurper and that the Byzantines were a "schismatic". In the Middle Ages, any deviation or deviant should be punished, something considered obvious and natural for the EU at that time. 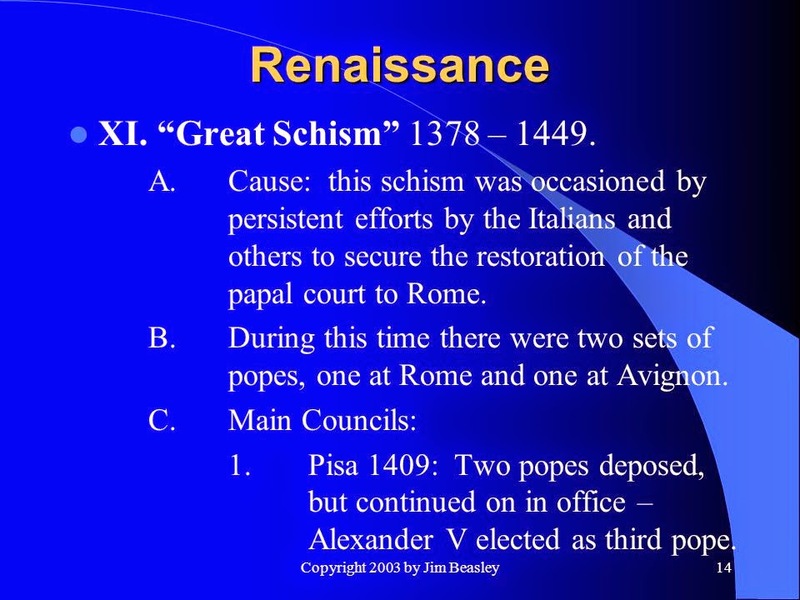 A reconciliation of Rome and the ancient Byzantium was, however, a constantly debated issue of the eleventh century to the fifteenth century; there was even numerous attempts at rapprochement of the two Churches. In 1089, I promoted discussions Alexis, then resumed in 1141 with John II, in 1197 with Alexis III, and almost all the emperors, from the mid-thirteenth century until 1453, when the Ottoman Turks, Muslims, took Constantinople. And on two occasions this issue seemed to be resolved: first at the Council of Lyons in 1274, and finally at the Council of Florence in 1439. The hostility of the West towards Byzantium prevented, however, the peaceful resolution of this litigation, exemplified in the attacks of Robert Guiscard in 1081, and Bohemond, in 1185, addressed to the Eastern Roman Empire and brutal taking of Constantinople on 13 April 1204, in addition to the failure of negotiations for the unification of the two Churches. This relationship was motivated by bad misunderstanding of the two civilizations, which together are called "Latinos" and non-Christians, and "Greeks" and not Roman. Was once again confronted the "barbaric" West and the cultured and sophisticated civilization Eastern civilization. This opposition also had to do with divergent political traditions. For Westerners, the primary virtue is good faith, while for the Byzantines was the reason of state. Another reason for this disagreement was the wealth of the Byzantines, who inspired criticism from Western, dazzled with an opulence that did not know that time in Western Europe. The Constantinople of that time was a very rich city, producer and / or distributor of luxury products like precious fabrics (silk, for example); Moreover, the relations with the Arab world had made ​​her one of the key markets from whence the gold coin. This envy has resulted in terrible and aforementioned sack of Constantinople from April 13, 1204, which led to looting the town and the sacrifice of many of its inhabitants who perished at the hands of Christians, so-called "barbarians" of the Fourth Crusade. The Protestant Reformation, often referred to simply as the Reformation, was the schism within Western Christianity initiated by Martin Luther, John Calvin, and other early Protestant Reformers. Although there had been significant attempts to reform the Roman Catholic Church before Luther—notably those of John Wycliffe and Jan Hus—the date most usually given for the start of the Reformation is 1517, when Luther published The Ninety-Five Theses. Luther started by criticizing the relatively recent practice of selling indulgences started by the Roman Catholic Church, partially to fund the construction of the St. Peter's Basilica; he attacked the indulgence system, insisting that the pope had no authority over purgatory and that the doctrine of the merits of the saints had no foundation in the gospel. The debate widened until it touched on many of the doctrines and devotional Catholic practices. The Reformation is generally considered to have concluded in 1648 with the Peace of Westphalia that ended the Thirty Years' War and a wider conflict known as the European wars of religion. The Reformation movement within Germany diversified almost immediately, and other reform impulses arose independently of Luther. The largest groupings were the Lutherans and Calvinists (or Reformed); Lutheran churches were founded mostly in Germany, the Baltics and Scandinavia, while Reformed churches were founded in France, Switzerland, Hungary, the Netherlands and Scotland. The new movement influenced the Church of England decisively after 1547 under Edward VI and Elizabeth I, although the national church had been made independent under Henry VIII in the early 1530s for political rather than religious reasons. There were also reformation movements throughout continental Europe known as the Radical Reformation which gave rise to the Anabaptist, Moravian, and other pietistic movements. Although the core motivation behind these changes was theological, many other factors played a part, including the rise of nationalism, the Western Schism which eroded people's faith in the Papacy, the corruption of the Curia, and the new learning of the Renaissance which questioned much traditional thought. On a technological level the invention of the printing press by Johannes Gutenberg proved extremely significant in that it provided the means for the rapid dissemination of new ideas. The Roman Catholic Church responded with a Counter-Reformation initiated by the Council of Trent. Much hard work in battling Protestantism was done by the well-organized new order of the Jesuits. In general, Northern Europe, with the exception of most of Ireland, came under the influence of Protestantism. Southern Europe remained Roman Catholic, while Central Europe was a site of a fierce conflict, culminating in the Thirty Years' War, which left it massively devastated. The Protestant Reformation shaped the culture and history of the Western world, leaving a legacy of 800 million adherents of Protestant churches, or nearly forty percent of Christians worldwide. Martin Luther (German: [ˈmaɐ̯tiːn ˈlʊtɐ] ); 10 November 1483 – 18 February 1546) was a German friar (Observant Augustinian), Catholic priest, professor of theology and seminal figure of the 16th-century movement in Christianity known later as the Protestant Reformation. He strongly disputed the claim that freedom from God's punishment for sin could be purchased with monetary values. 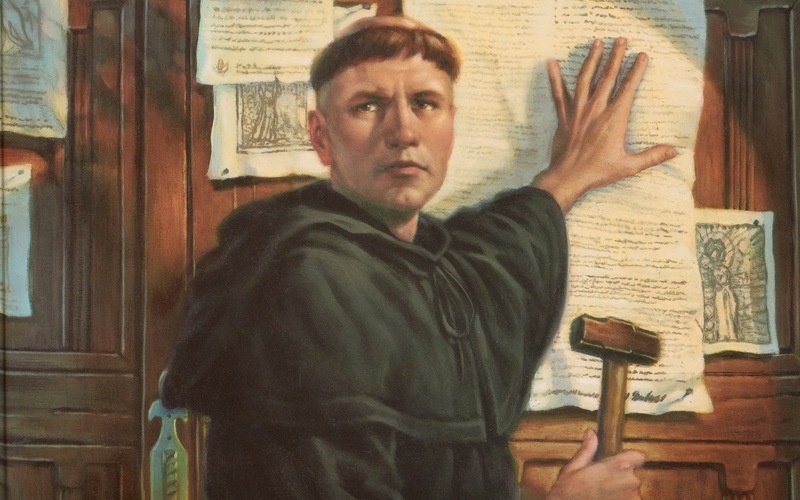 He confronted indulgence salesman Johann Tetzel, a Dominican friar, with his Ninety-Five Theses in 1517. His refusal to retract all of his writings at the demand of Pope Leo X in 1520 and the Holy Roman Emperor Charles V at the Diet of Worms in 1521 resulted in his excommunication by the Pope and condemnation as an outlaw by the Emperor. His translation of the Bible into the vernacular (instead of Latin) made it more accessible, which had a tremendous impact on the church and on German culture. It fostered the development of a standard version of the German language, added several principles to the art of translation, and influenced the writing of an English translation, the Tyndale Bible. His hymns influenced the development of singing in churches. His marriage to Katharina von Bora set a model for the practice of clerical marriage, allowing Protestant priests to marry. In two of his later works, Luther expressed antagonistic views toward Jews, writing that Jewish synagogues and homes should be destroyed, their money confiscated, and liberty curtailed. These statements and their influence on antisemitism have contributed to his controversial status. Martin Luther died in 1546, still convinced of the correctness of his Reformation theology, and with his decree of excommunication by Pope Leo X still effective. On his deathbed, Luther was asked, 'Are you ready to die trusting in your Lord Jesus Christ and to confess the doctrine which you have taught in his name?'. He answered, 'Yes' before taking his final breath. Cisma é uma palavra usada para designar a divisão formal e voluntária da unidade da Igreja cristã, que, ao contrário da palavra heresia, com a qual muitas vezes é conotada, não contém em si mesmo um desvio doutrinal. Na história da Igreja cristã, o Grande Cisma é uma expressão que se refere simultaneamente à rutura das relações entre as Igrejas cristãs do Oriente e do Ocidente datada de 1054. Ao período compreendido entre 1378 e 1417, durante o qual dois e, mais tarde, três papas reclamavam a sua legitimidade na direção da Igreja, dá-se o nome de Cisma do Ocidente. Todavia, errónea e abusivamente, alguns autores designam de Grande Cisma esta divisão da Igreja do Ocidente nos séculos XIV e XV. Esta distanciação entre as duas Igrejas cristãs, no Grande Cisma, tem raízes culturais e políticas muito profundas, cultivadas ao longo de séculos. Enquanto a cultura ocidental se foi paulatinamente transformando pela influência de povos como os Germanos, o Oriente permaneceu desde sempre ligado à tradição da cristandade helenística. Era a chamada Igreja de tradição e rito grego. A Igreja de Constantinopla respeitou a posição de Roma como a capital original do império, mas ressentia-se de algumas exigências jurisdicionais feitas pelos papas, reforçadas no pontificado de Leão IX (1048-1054) e depois no dos seus sucessores. Para além disso, existia a oposição do Ocidente em relação ao cesaropapismo bizantino, isto é, a subordinação da Igreja oriental a um chefe secular, como acontecia na Igreja de Bizâncio. Quando Miguel Cerulário se tornou patriarca de Constantinopla, no ano de 1043, deu início a uma campanha contra as Igrejas latinas na cidade de Constantinopla, envolvendo-se na discussão teológica da natureza do Espírito Santo, questão que viria a assumir uma grande importância nos séculos seguintes. Roma enviou o cardeal Humberto a Constantinopla em 1054, para tentar resolver este problema. No entanto, esta visita acabou do pior modo, com a excomunhão do patriarca, um ato entendido como a excomunhão de toda a Igreja bizantina e ao qual o Sínodo e Miguel Cerulário responderam do mesmo modo a Roma. A deterioração das relações entre as duas Igrejas contribuiu largamente para o tristemente célebre episódio do saque de Constantinopla durante a quarta Cruzada (1204). As mútuas excomunhões só foram levantadas a 7 de dezembro de 1965, pelo Papa Paulo VI e o patriarca Atenágoras I, por forma a aproximar as duas Igrejas, afastadas há séculos. A partir de 1054 o cristão bizantino passou a ser cismático aos "olhos" do Ocidente cristão, mas apesar das duas grandes diferenças (as duas igrejas discordavam quanto à questão do "Filioque" - o Espírito Santo para os bizantinos provinha do Pai e não do Filho - e quanto à questão institucional causada pela recusa da aceitação da supremacia do papa de Roma) não deixa de ser cristão e como tal considerado. A falta de compreensão para com a Igreja bizantina transformou-se em ódio, fomentado "pela cobiça e pela inveja dos 'romanos', um povo bárbaro e incivilizado que via com maus olhos a riqueza dos 'gregos' civilizados", como nos diz Jacques le Goff em A Civilização do Ocidente Medieval. Em 1203, quando os cruzados ocidentais se preparavam para tomar Constantinopla, a desculpa para esta ação era a de que o imperador Alexis I era um usurpador e que os bizantinos eram uns "cismáticos". Na Idade Média, todo o desvio ou desviante deveria ser punido, algo considerado óbvio e natural para o europeu daquele tempo. A reconciliação de Roma e da antiga Bizâncio foi, no entanto, um assunto constantemente debatido do século XI ao século XV; houve, inclusivamente, inúmeras tentativas de reaproximação das duas Igrejas. Em 1089, Alexis I promoveu discussões, depois retomadas em 1141 com João II, em 1197 com Alexis III, e por quase todos os imperadores, de meados do século XIII até 1453, quando os turcos Otomanos, muçulmanos, tomaram Constantinopla. E por duas ocasiões esta questão pareceu estar resolvida: primeiro no concílio de Lyon, em 1274, e por fim no concílio de Florença, em 1439. A hostilidade dos ocidentais em relação a Bizâncio impedia, contudo, a resolução pacífica deste contencioso, exemplificado nos ataques de Roberto Guiscardo, em 1081, e Boemundo, em 1185, dirigidos ao Império Romano Oriental e na brutal tomada de Constantinopla a 13 de abril de 1204, para além do fracasso das negociações para a unificação das duas Igrejas. Este mau relacionamento era motivado pela incompreensão das duas civilizações, que entre si se chamavam "latinos" e não cristãos, e "gregos" e não romanos. Estava mais uma vez em confronto a civilização "bárbara" ocidental e a culta e sofisticada civilização oriental. Esta oposição também tinha a ver com divergentes tradições políticas. Para os ocidentais, a primordial virtude é a boa fé, enquanto que para os bizantinos era a razão de Estado. Outra razão deste desentendimento era a riqueza dos bizantinos, que inspirava críticas por parte dos ocidentais, deslumbrados com uma opulência que não conheciam na Europa ocidental desse tempo. A Constantinopla da época era uma cidade muito rica, produtora e/ou distribuidora de produtos luxuosos como os tecidos preciosos (a seda, por exemplo); além disso, as relações que mantinha com o mundo árabe faziam dela um dos principais mercados de onde vinha a moeda de ouro. Esta inveja resultou no terrível e já citado saque de Constantinopla de 13 de abril de 1204, que provocou a pilhagem da cidade e o sacrifício de muitos dos seus habitantes que pereceram às mãos dos cristãos, ditos "bárbaros", da quarta Cruzada. A Reforma Protestante, frequentemente designado como a Reforma, foi o cisma dentro da cristandade ocidental iniciada por Martinho Lutero, João Calvino e outros reformadores protestantes iniciais. Apesar de ter havido tentativas significativas para reformar a Igreja Católica Romana antes de Lutero-em particular as de John Wycliffe e Jan Hus-a data mais geralmente dada para o início da reforma é 1517, quando Lutero publicou As Noventa e Cinco Teses. Lutero começou por criticar a prática relativamente recente de venda de indulgências iniciados pela Igreja Católica Romana, em parte para financiar a construção da Basílica de São Pedro; ele atacou o sistema de indulgência, insistindo que o papa não tinha autoridade sobre o purgatório e que a doutrina dos méritos dos santos não tinha fundamento no evangelho. O debate foi alargado até tocar em muitas das doutrinas e práticas católicas devocionais. A Reforma é geralmente considerada como ter.se concluído em 1648 com a Paz de Westphalia, que terminou a Guerra dos Trinta Anos e um conflito mais amplo conhecido como as guerras européias de religião. O movimento da Reforma na Alemanha diversificou quase imediatamente, e de outros impulsos de reforma surgissem independentemente de Lutero. Os maiores grupos eram os luteranos e calvinistas (ou reformistas); Igrejas luteranas foram fundadas principalmente na Alemanha, os Países Bálticos e na Escandinávia, enquanto as igrejas reformadas foram fundadas na França, Suíça, Hungria, Holanda e Escócia. O novo movimento influenciou a Igreja da Inglaterra decisivamente após 1547 sob Edward VI e Elizabeth I, embora a igreja nacional tinha sido feito independente sob Henry VIII no início da década de 1530, por razões políticas, e não religiosas. Houve também movimentos da Reforma Protestante na Europa continental conhecida como a Reforma Radical, que deu origem ao anabatista, Morávianos, e outros movimentos pietistas. Embora a principal motivação por trás dessas mudanças tenha sido teológica, muitos outros factores desempenharam um papel, incluindo a ascensão do nacionalismo, o Grande Cisma do Ocidente, que corroeu a fé das pessoas no Papado, a corrupção da Cúria, e o novo aprendizado da Renascença que questionou em muito o pensamento tradicional. Em um nível tecnológico da invenção da imprensa por Johannes Gutenberg mostrou-se extremamente importante na medida em que forneceu os meios para a rápida disseminação de novas ideias. A Igreja Católica Romana respondeu com uma contra-reforma iniciada pelo Concílio de Trento. Muito trabalho duro na luta contra o protestantismo foi feito pela nova ordem bem organizada dos jesuítas. Em geral, o norte da Europa, com excepção da maior parte da Irlanda, caíu sob a influência do protestantismo. O Sul da Europa permaneceu católico romano, enquanto a Europa Central era um local de um conflito feroz, culminando nas Guerra dos Trinta Anos, que da eixou maciçamente devastada. A Reforma Protestante forma a cultura e a história do mundo ocidental, deixando um legado de 800 milhões de adeptos de igrejas protestantes, ou quase quarenta por cento de cristãos em todo o mundo. Martin Luther (Alemão: [maɐ̯tiːn lʊtɐ]); (10 de novembro de 1483 - 18 de fevereiro 1546) foi um frade alemão (agostiniano), sacerdote católico, professor de teologia e figura seminal do movimento do século 16, no cristianismo conhecido mais tarde como a Reforma Protestante. Disputou fortemente a alegação de que a liberdade da punição de Deus pelo pecado poderia ser comprada com valores monetários. Ele confrontou o vendedor de indulgênvias Johann Tetzel, um frade dominicano, com suas Noventa e Cinco Teses em 1517. Sua recusa em retirar todos os seus escritos a pedido do Papa Leão X em 1520 e do imperador Carlos V na Dieta de Worms em 1521 resultou em sua excomunhão pelo papa e a condenação como um fora da lei pelo imperador. Lutero ensinava que a salvação e, posteriormente, a eternidade no céu não era ganha por boas ações, mas é recebida apenas como um dom gratuito da graça de Deus mediante a fé em Jesus Cristo como redentor do pecado e, posteriormente, a eternidade no inferno. Sua teologia desafiou a autoridade do Papa da Igreja Católica Romana por ensinar que a Bíblia é a única fonte de conhecimento divinamente revelada de Deus e sacerdotalismo por considerar todos os cristãos batizados para ser um sacerdócio santo. Aqueles que se identificam com estes, e todos os ensinamentos mais amplos de Lutero, são chamados luteranos, embora Lutero insistia em Cristão como o único nome aceitável para os indivíduos que professavam Cristo. Sua tradução da Bíblia para o vernáculo (em vez de latim) tornou mais acessível, o que teve um impacto tremendo na igreja e na cultura alemã. 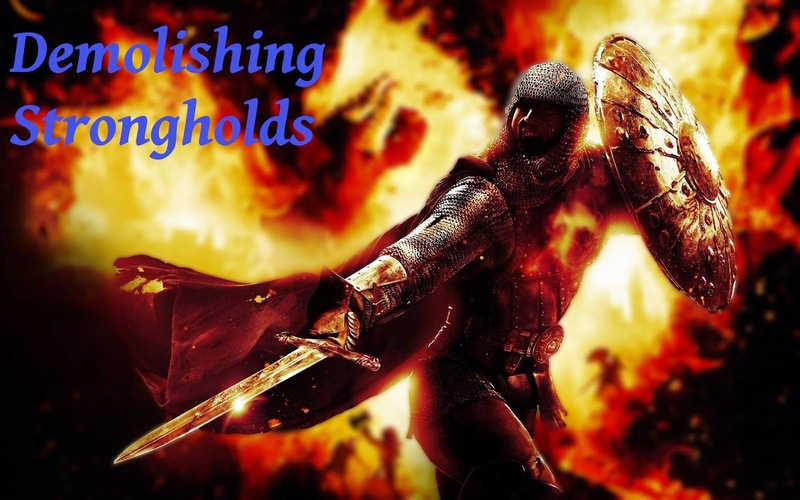 Promoveu o desenvolvimento de uma versão padrão da língua alemã, adicionou diversos princípios à arte da tradução, e influenciou a escrita de uma tradução em Inglês, a Bíblia Tyndale. Seus hinos influenciaram o desenvolvimento do cantar nas igrejas. Seu casamento com Katharina von Bora estabeleceu um modelo para a prática do casamento clerical, permitindo que os padres protestantes se casar. Em dois de seus trabalhos posteriores, Lutero expressou opiniões antagônicas em relação aos judeus, escrevendo que sinagogas e casas judaicas deveriam ser destruídas, seu dinheiro confiscado e liberdade cerceada. Estas declarações e sua influência sobre o anti-semitismo têm contribuído para o seu estatuto controverso. Martinho Luteromorreu em 1546, ainda convencido da justeza da sua teologia da Reforma, e com o seu decreto de excomunhão pelo Papa Leão X ainda eficaz. Em seu leito de morte, Lutero foi convidado, 'Você está pronto para morrer confiando em seu Senhor Jesus Cristo e confessar a doutrina que ensinava em seu nome?'. Ele respondeu: "Sim" antes de tomar seu último suspiro.